The Baltic Sea region is rich in natural and cultural heritage. Some of the World´s finest UNESCO World Heritage sites and Biosphere reserves are perched along the Baltic Sea shores. Due to their outstanding value and their growing international recognition, these sites attract more and more tourists every year who are looking to discover the region’s natural beauty and cultural identity. These sites also have the potential to be role models for sustainable tourism and be globally recognised for their contribution to regional development and the empowerment of local communities. In DUNC we believe that preserving and promoting heritage is fundamental to promote “ownership” and the idea of “common responsibilities” within the local communities. The project also aims to facilitate the networking of tourism stakeholders, the development of quality activities that prolong the tourist season and the creation of pleasant visitor experiences for tourists without compromising the environmental, social and economic assets of the region. 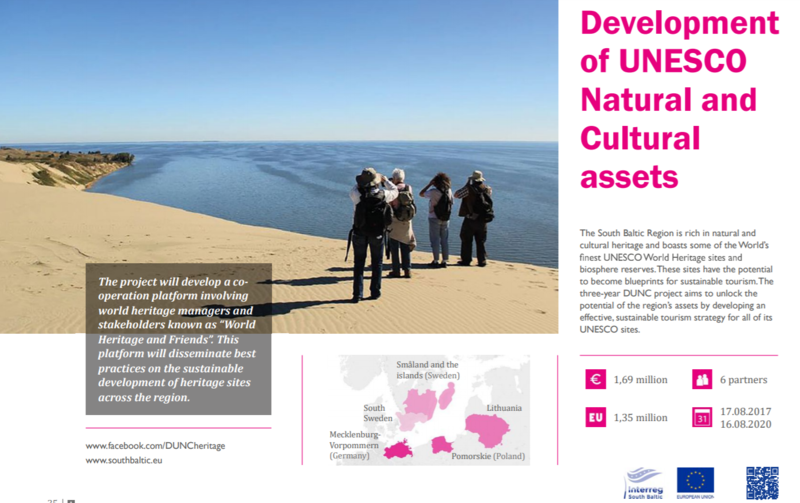 During the project lifetime, the focus will be on UNESCO sites, but all the results and outputs will be applicable at other heritage sites too. – solid cross-project and cross-border cooperation. The idea of networking across national borders is the DUNC core working method not only for the short term but also for the long-time perspective. Although the Baltic Sea region is a highly heterogeneous area with different points of view, the countries around the Baltic Sea share common resources and, to some extent, also a common history. These common geographical elements have been the basis for the identity development of the different cultures that can be found along the Baltic shores while the tangible marks left by the common past should constitute the foundation to start working for a common future. 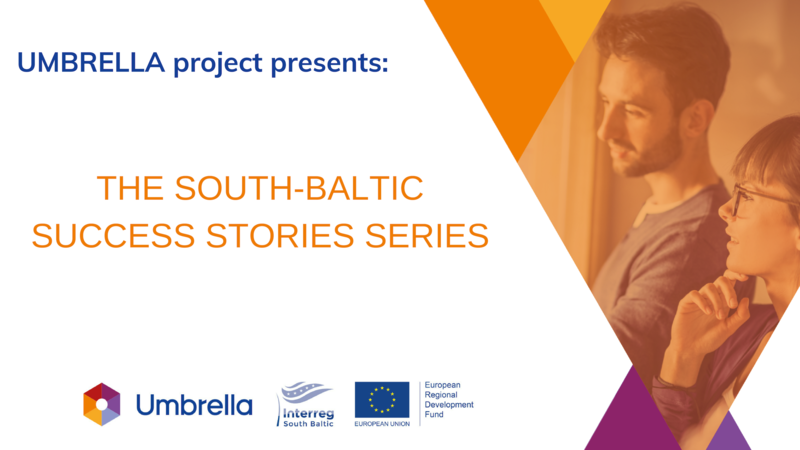 The 3 year-long project, DUNC, is funded by the Interreg South Baltic Programme and is coordinated from the Municipality of Karlskrona (Sweden). 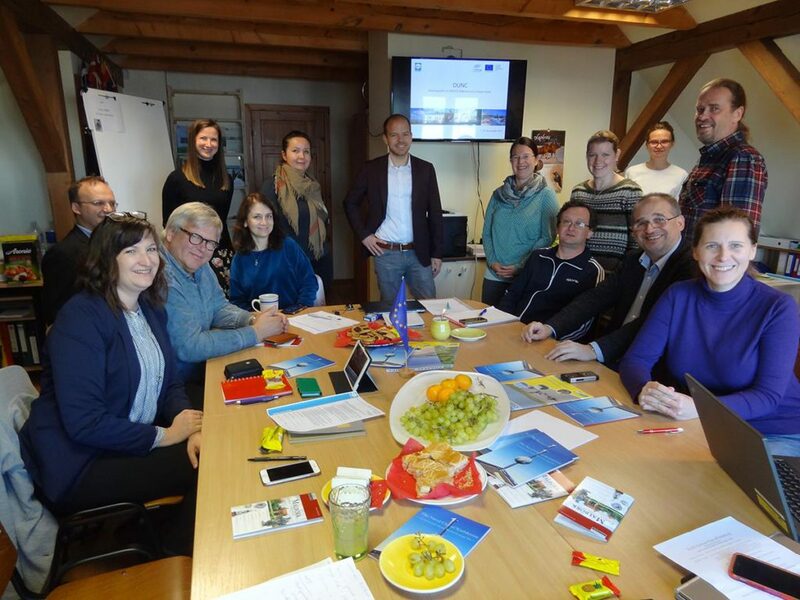 The project partners include The Coastal Union Germany e.V (EUCC-D), the Municipality of Mörbylånga (Sweden), Curonian Spit National Park Administration (Lithuania), the Tourist Office of Stralsund (Germany), the Tourist Office of Wismar (Germany) and the EUCC Baltic Office (Lithuania). More information and updates about DUNC can be found on our website (https://www.dunc-heritage.eu/) and on Facebook (@DUNCheritage).